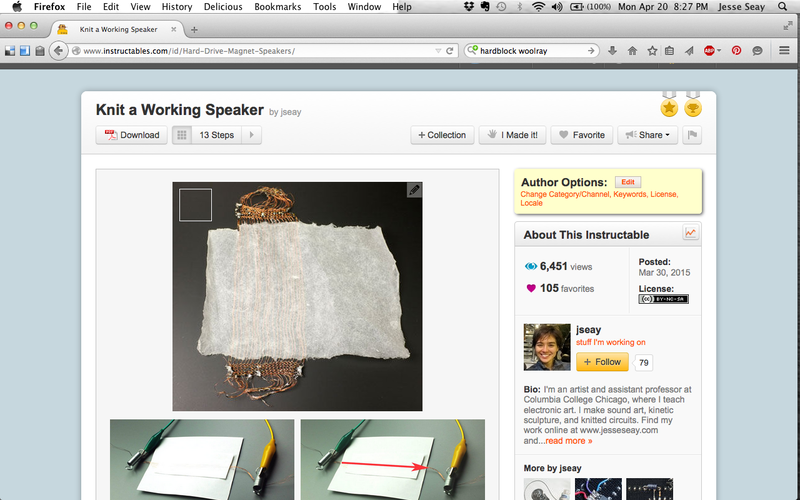 My "Knit A Working Speaker" just won second prize in the Instructables DIY Audio Contest! Louisiana machine knitter Mark Anderson sent me images for a project he did using the circuit knitting technique I posted on instructables. 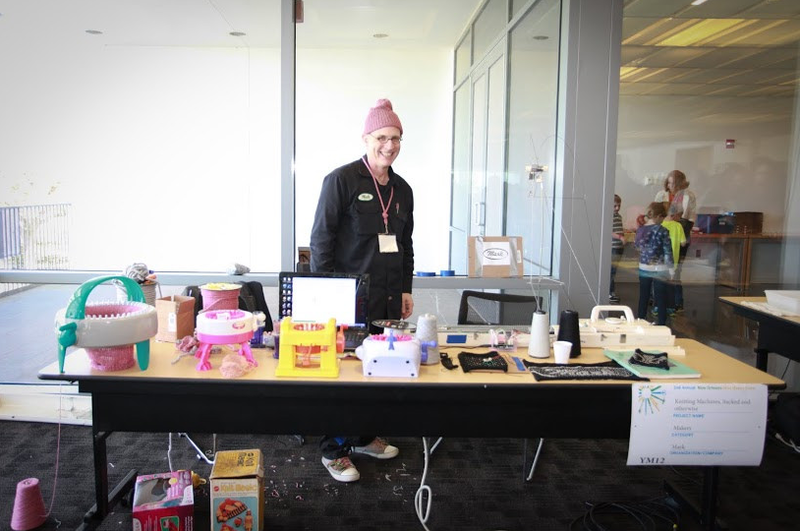 He displayed the work at last month's New Orleans Mini Maker Faire. Note the Gemma microcontroller for extra-blinky action. Nice work, Mark! Grand Prize Winner on Instructables! 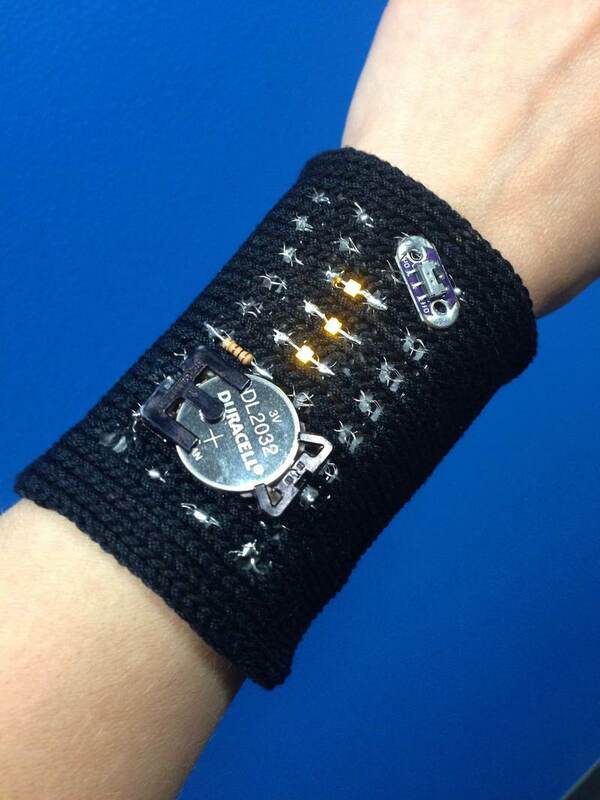 Angeleah Daidone recently sent me this photo of the bracelet she made in my Circuit Building Workshop. When I posted my knitted circuit instructable last month, I also entered it into Instructables' Battery Powered contest. And... it took the grand prize! How cool is that??? And today, how to solder stainless steel thread. 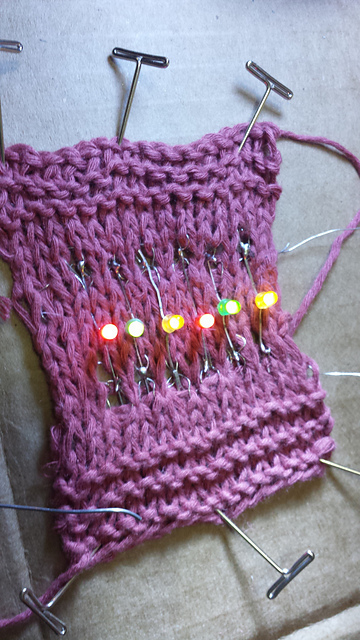 Lauren Singer of Houston, Texas (Ravelry ID: AuntieAnty) contacted me recently through Ravelry, to share Linen, Electronics and Diodes, a circuit-knit project she made with Glenn Manuel (Ravelry ID: Glennman), based on my knitted circuit design. I'm thrilled to see people picking up the project and experimenting with new approaches. Lauren used 28AWG bus wire and a 50/50 cotton/linen blend. As far as I know, this is the first hand-knit version of the design (since I machine-knit mine). Very cool! I hope more will follow!